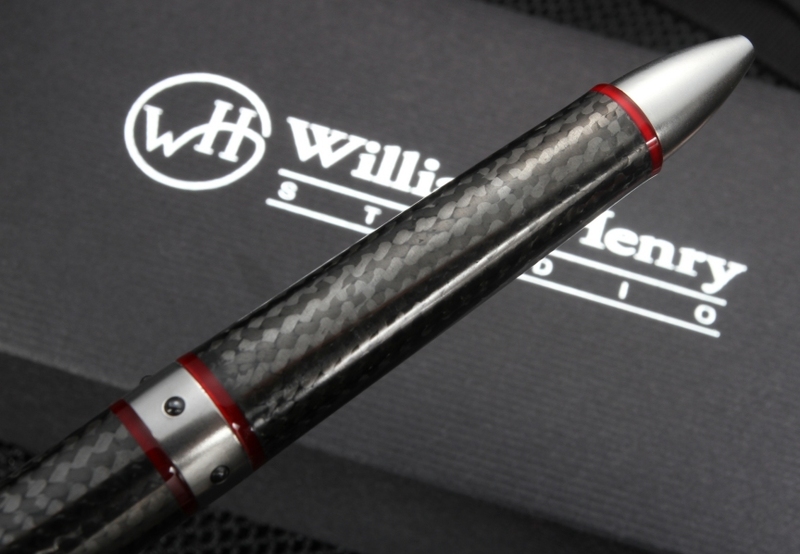 From the William Henry Studio comes the Chablis 1208, a great tactical pen for high-end performance and aesthetics. 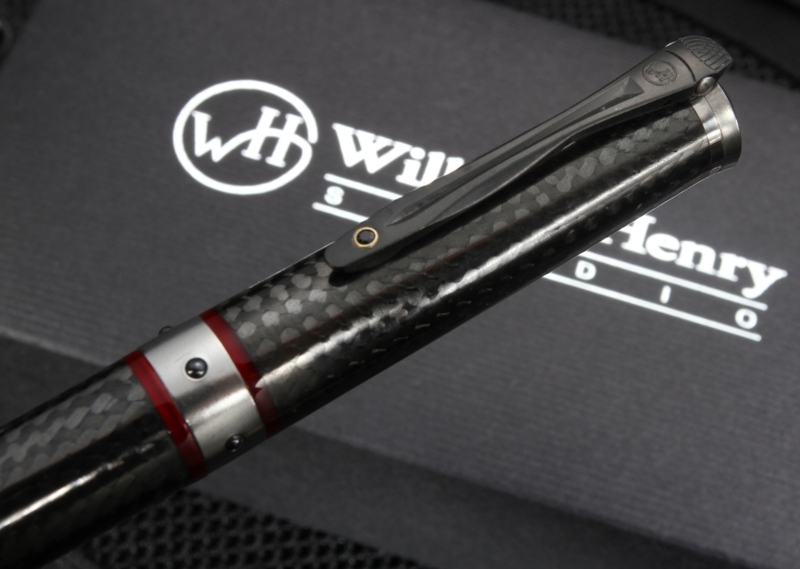 This luxury pen is the latest design by William Henry and bring classic design elements with rare and unique materials. At an overall length of 5.25 inches long and a weight of 1.1 ounces, the Chablis is a beauty to behold due to its function and its design. 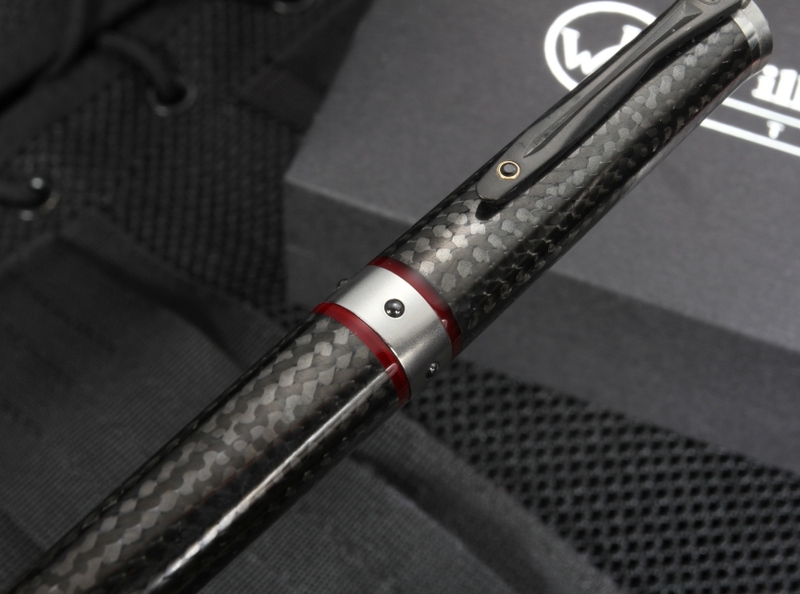 The WaveLock carbon fiber barrier allows for a weight reduction without compromising the strength in the construction of the pen, and without making it too heavy and unwieldy for writing. The adjusted pen's weight also adds comfortable grip and ease that can allow for clear and controlled handwriting. The pen also comes with a black oxide coated stainless steel pocket clip finished with a spinel stone, making it an attractive pocket clip for carry that will also help you keep track of your pen with ease. The pen is constructed with titanium and stainless steel frame which gives the pen great purchase and durability that will last for years. 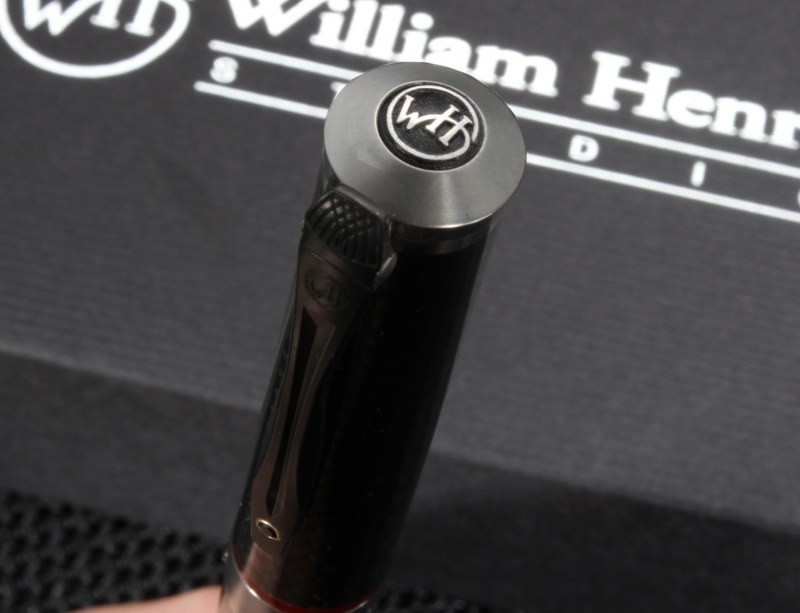 The pen is deployed for writing using the twist mechanism, which quickly retracts or extends the pen point. 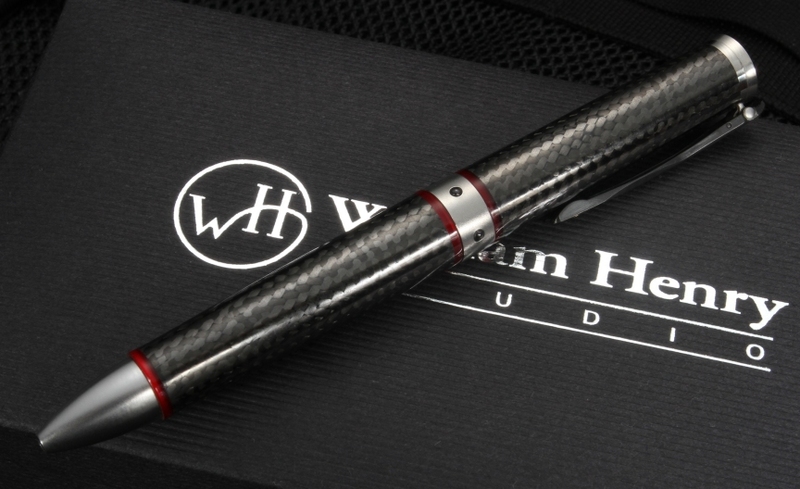 It is refillable with replaceable ink cartridges Overall, the black and silver construction with the red acrylic accents make it a unique and beautiful pen. The Chablis pen comes with its own presentation box and certificate of authenticity, guaranteeing that your purchase is a genuine William Henry writing instrument. And with KnifeArt's same-day order and delivery and it's satisfaction policy, you can enjoy your beautiful pen, or your money back.